Do you constantly find the urge to drink water? You might just be suffering from what dental professional call xerostomia, or more commonly dry mouth. It might not seem like a serious condition, but is one that must always be given the seriousness it deserves. Saliva plays an important role in keeping the mouth healthy, in digestion, tasting and swallowing of food. With a dry mouth, all this is impeded. Considering the larger ramifications of a dry mouth, it is important to seek clarification on what exactly could be going on if you are always complaining or suffering. The dentist can help ascertain whether it really is xerostomia. Some of the questions one should expect to be asked include sensations when eating or swallowing, the amount or lack of saliva, whether one has been engaged in activities like smoking, tests for hypertension, hepatitis or Sjögren's syndrome. Every medicine comes with a side effect, and unfortunately for some, the adverse effect is a dry mouth, dental visits can help you ascertain which medication or combination of medications, is causing the dry mouth. On the other hand, if you are found to be suffering from xerostomia, then the dentist is in the best position to offer medical advice and prescriptions. Dentists can recommend the best sprays, lozenges or tablets to deal with dry mouth related problems. Other remedies that are best suggested by dentists include rinses for the mouth and slow release tablets for patients that experience dryness when they sleep. 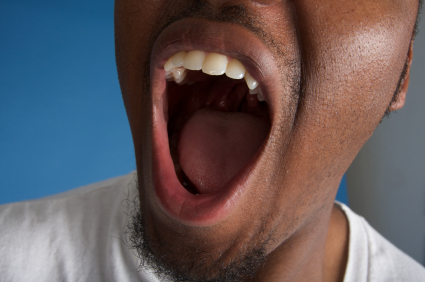 Dry mouth is a dangerous condition, especially if left unattended to. If you constantly have to grab your water bottle, then perhaps you need to come see us for a solution.